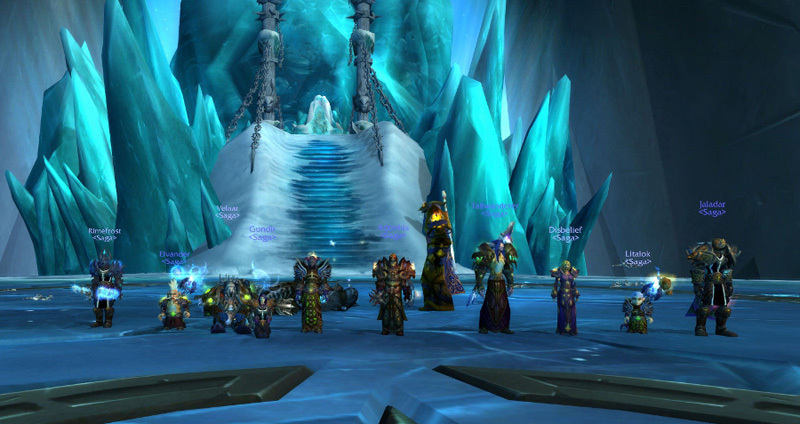 Saga have raided throughout The Burning Crusade and been pushing further progression in Wrath of The Lich King, including killing The Lich King himself. And we are currently progressing further in Mists of Pandaria. Saga is run by a council of three supported by a number of officers. The council and officers are always willing to listen to and discuss suggestions and input from all guild members. This is your guild too. Raiding members who commit to at least about two raids a week in a rolling 60 day period. Raiding members who can't commit least about two raids a week 60 day period. New members to the guild. Friends and relatives of existing Raider members who want to play the game with their IRL partners/ friends but have no interest in Raiding. Also called: saga novel a series of novels about several generations or members of a family. © 2011 Saga World of Warcraft Guild. | © World of Warcraft, Warcraft and Blizzard Entertainment are trademarks or registered trademarks of Blizzard Entertainment, Inc. in the U.S. and/or other countries.